Arguably the most important beverage in a student’s life, coffee offers a boost of caffeine and focus when the productivity comes to a halt. This article is going to give you a taste of what’s inside that addictive cup of jo[y]. The coffee bean dates back to the 14th century when it was reportedly first roasted, ground, and infused in East Africa (the native area of the coffee tree). Despite the coffee tree’s successful migration to other countries with subtropical climates, African countries remain responsible for approximately a fifth of the world’s coffee production. It contains the most widely consumed behavior-modifying chemical. 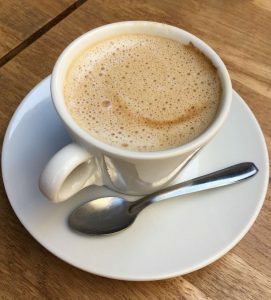 That extra stimulation you receive after drinking a cup of coffee comes from the, on average, 95 mg of caffeine that quickens reactions and relieves fatigue. 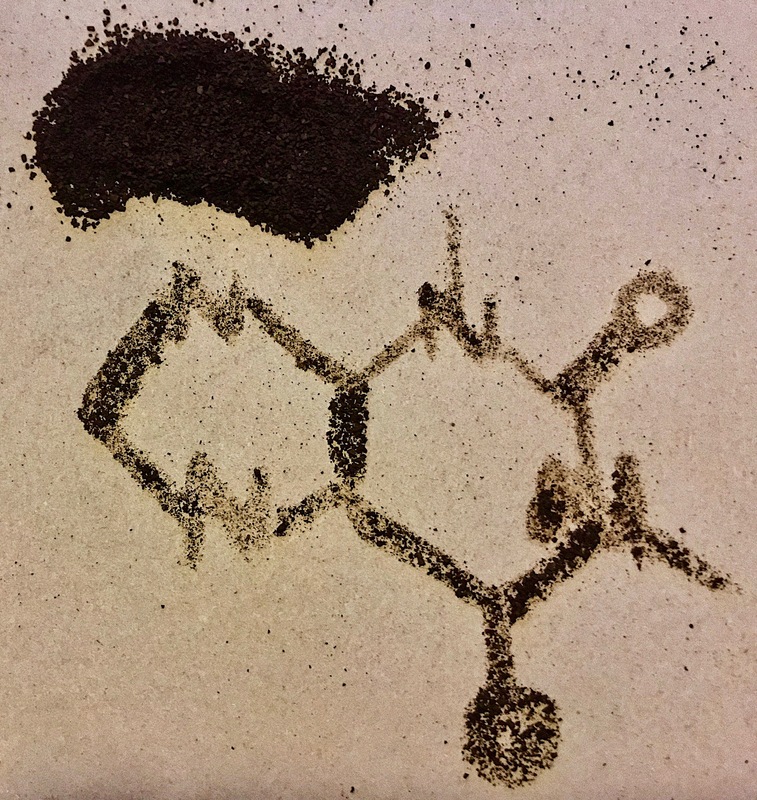 Caffeine is apart of the organic nitrogen-containing alkaloid class accompanied by other well-known molecules like morphine and nicotine. These chemicals interfere with cell signal transduction, affecting muscular and central nervous system activity through agonistic receptor activation at neuroreceptors. Caffeine levels in the blood spike within 15 minutes to 2 hours of consumption and are reduced by half within 3 to 7 hours. You might want to think twice before filling up your keurig with tap water. Brewed coffee is comprised of approximately 95% water, so the quality of water can actually play a significant role in the flavor of coffee created. Most of the disinfectant chlorine flavor in tap water is removed through boiling, however water with high calcium magnesium carbonate content (hard water) can slow the brew’s flavor extraction and dissolve espresso foam. Soft water therefore over-exaggerates the flavor of the coffee and can exhibit a salty taste in the brew. Distilled water could also lead you astray as its purity produces a flat, dimensionless flavor. To yield a slightly acidic flavor in the final brew, the water should contain a neutral pH and a moderate balance of minerals. “Caffeine Content for Coffee, Tea, Soda and More.” Mayo Clinic, Mayo Foundation for Medical Education and Research, 14 Apr. 2017. McGee, Harold. On Food and Cooking: the Science and Lore of the Kitchen. Scribner, 2004. Rahman, Atta-ur-. “Interference of Alkaloids with Neuroreceptors and Ion Channels.” Studies in Natural Products Chemistry: Volume 21 Bioactive Natural Products (Part B), vol. 21, Elsevier, 2000.